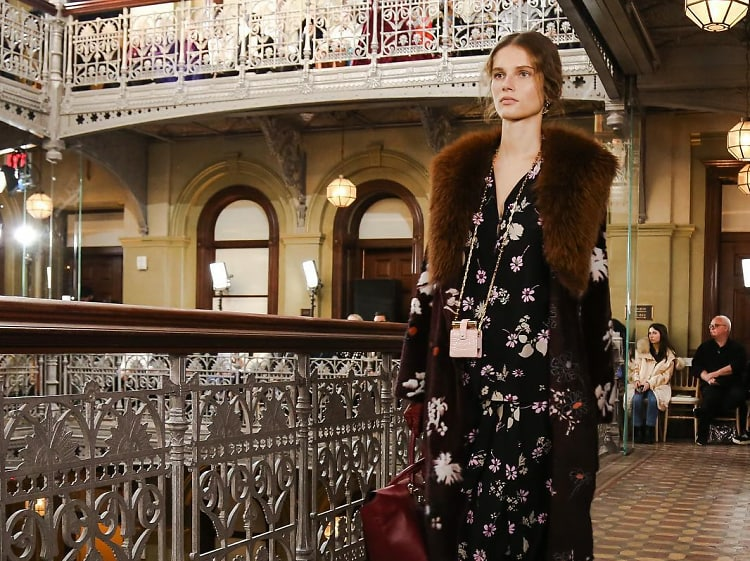 On Wednesday morning, Pierpaolo Piccioli led the likes of Anna Wintour, Grace Coddington, and Hamish Bowles to the recently refurbished (but still old school) Beekman Hotel for a stunning look at his sophomore solo collection. The Pre-Fall 2017 creations slinked down the makeshift runway (the hotel's open corridors), looking as romantic - and wearable - as we've come to expect. To celebrate what he already knew was a success, the maison's Creative Director continued the Valentino party into the evening, hosting a VIP dinner at the fittingly dreamy One If By Land, Two If By Sea restaurant in the West Village. Olivia Palermo, Nicky Hilton Rothschild, and Brooke Shields were all in attendance, toasting Piccioli and, of course, taking plenty of selfies. Click through for scenes from the presentation and dinner!